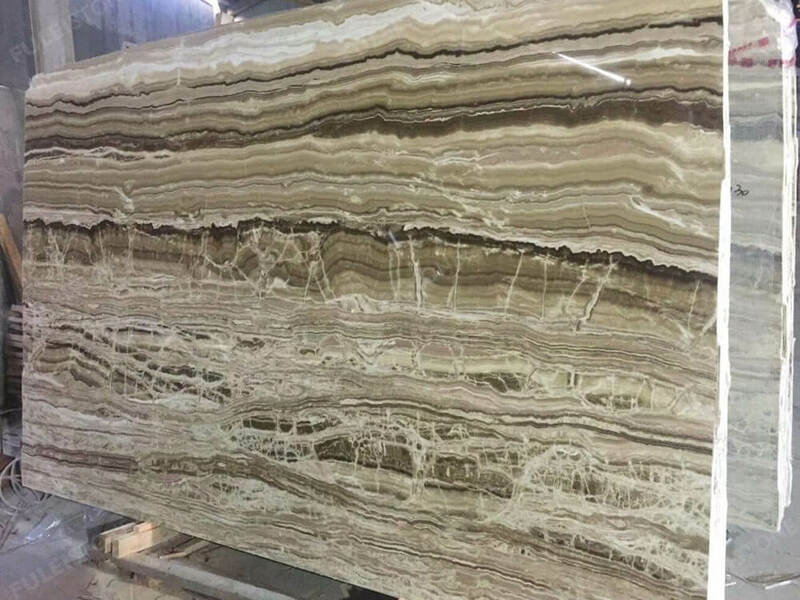 Wooden Onyx Slab is a kind of wood grain onyx quarried from Turkey, owns classic and straight brown white veins, with excellent texture and special patterns, which is an elegant choice for your home. 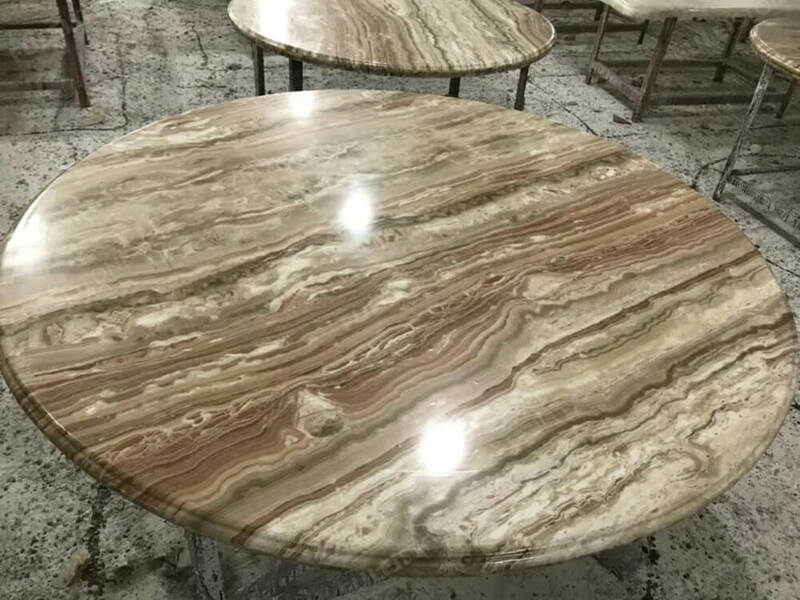 It can be widely used for wall&floor decoration, background, round table, etc. 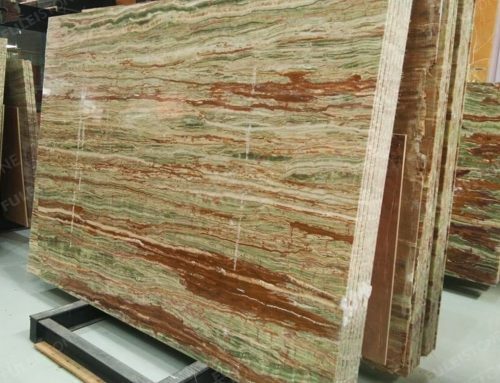 Stock in the 1.6cm&1.8cm slab with polished finishing. 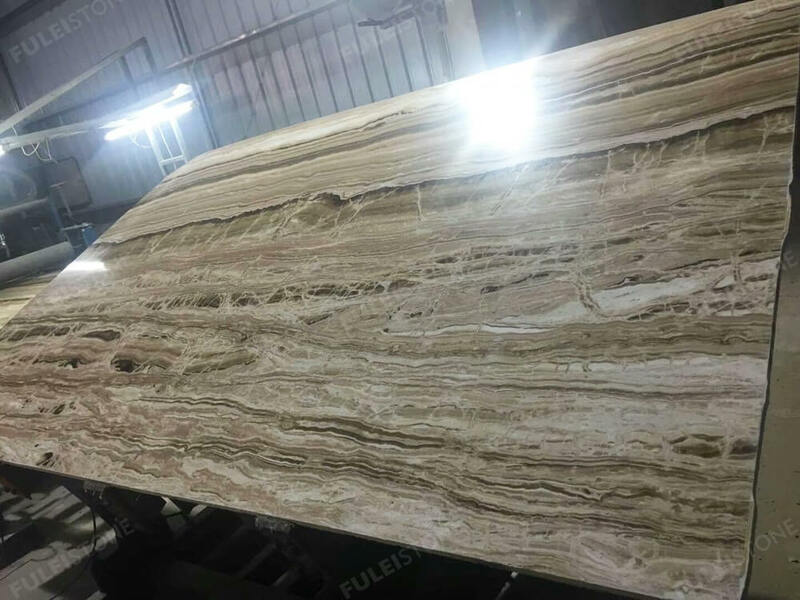 Established in 1996, Fulei Stone focus on the natural stone for over 20 years, which always provide high-quality products and great customer service. 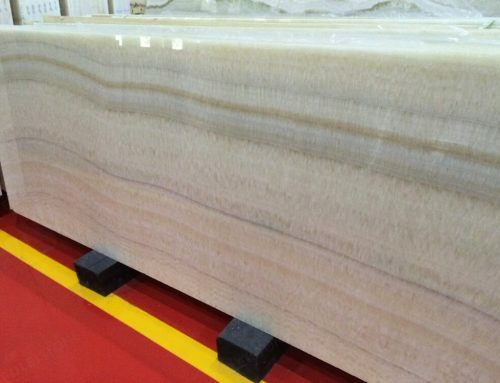 All of our products would be inspected piece by piece before loading by QC team. 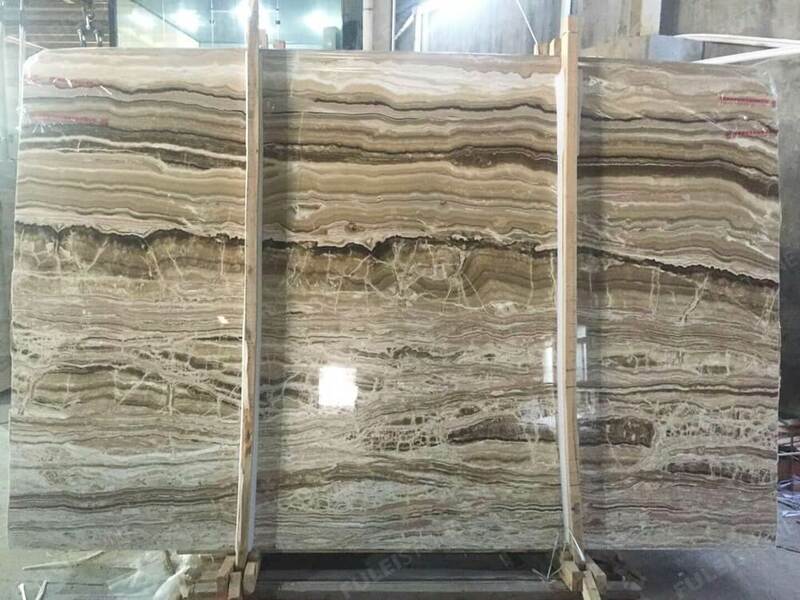 We have established a cooperative relationship with customers all over the world, including kinds of projects as Viceroy Hotel Project in Dubai and Sochi Olympic Gym project in Russia. 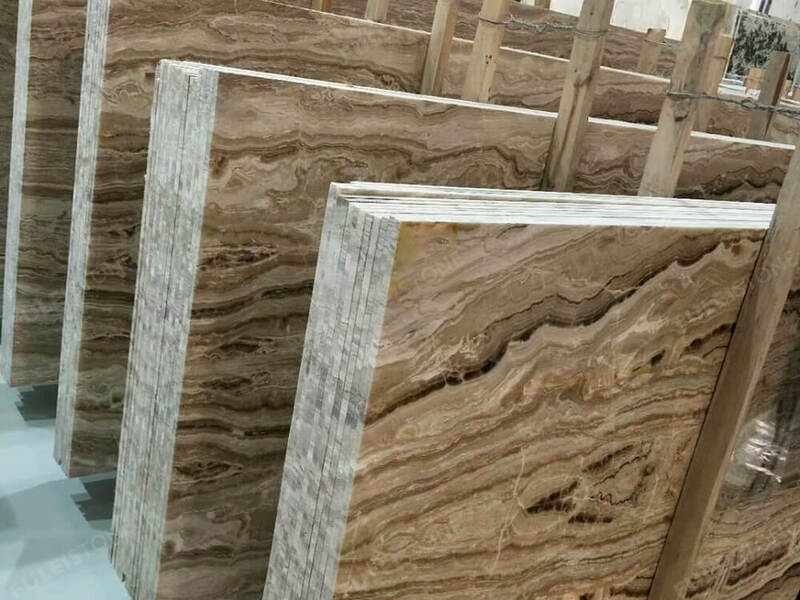 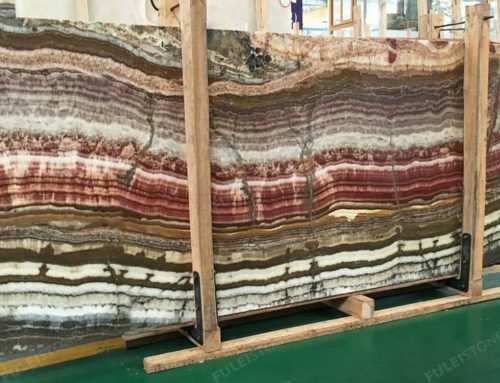 About the wooden onyx slab, if have any interest please contact me freely. 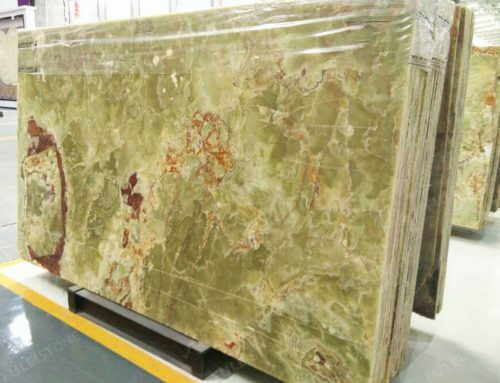 Project Decoration: Residential Building, Villa, Hotel, etc. 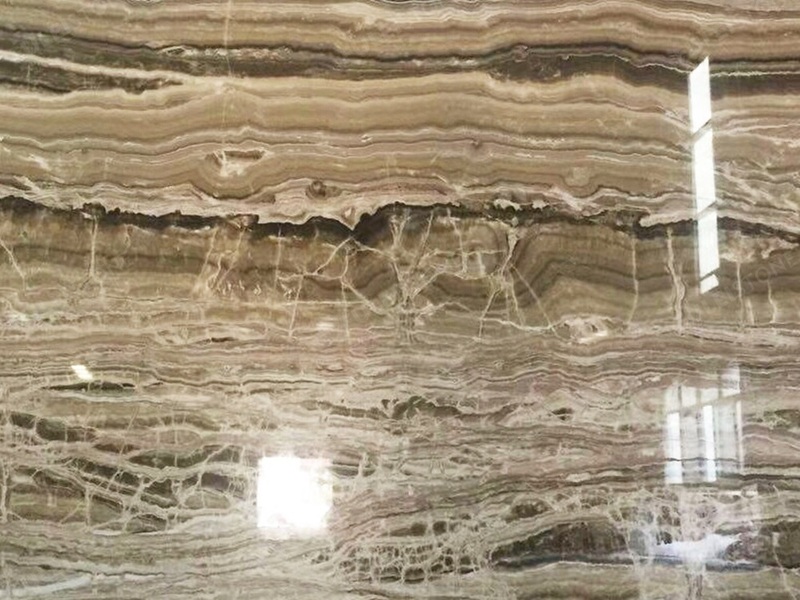 Other: Flooring&wall, background, Staircasr, etc.